Advanced Plastics is a plastic injections molding company manufacturing custom parts in a wide variety of plastics, elastomers and rubber. Located in Burnaby BC, we are proudly Canadian with over 20 years in the plastics business. We serve local and international businesses throughout North America. Whether you are looking for custom plastics parts, part design or protypes, Advance Plastics strives to provide exceptional service and quality ‐ on time and on-budget. 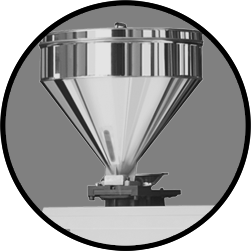 At Advance Plastics we have seven injection presses in our factory ranging from 60 ‐ 200 tons. 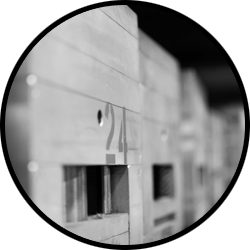 This means we can run your order of multiple custom plastic parts at the same time, resulting in a quick product turnaround. 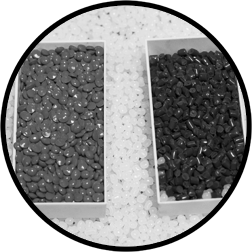 At Advance Plastics we have the ability to produce intricate molds for those difficult to manufacture custom plastic or elastomer parts. We offer custom milling or machined products as well as prototyping. Every great product starts with great design! Advance Plastics provides full service engineering and design to develop professional drawings and 3D models. Our very talented and knowledgeable designers will take you through the design process step by step to ready your product for plastic injection. Check out our Process page to understand these very important steps, as too basic a design might have features that can make tooling more expensive! 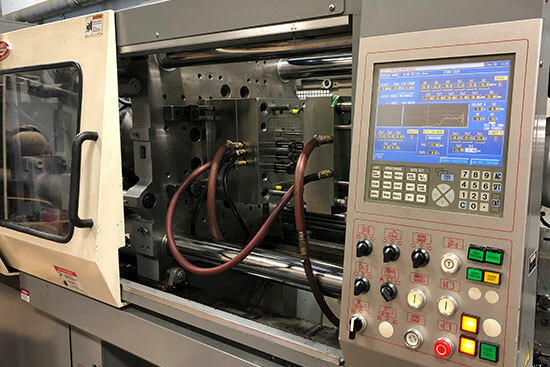 From concept to completion, our in-house toolmakers will work with you to make your project a success, starting at the prototyping and development stages, to final production and assembly. Our experience can guide you through each stage to make sure you have your product on budget and on time. 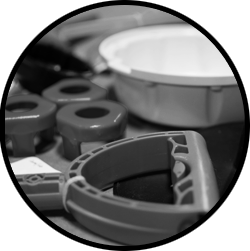 If you are developing a new product, or want to improve an existing one, Advance Plastics is here to help you.